The last 18 months I have started listening to podcasts again in a regular fashion. Way way back on this blog, I used to blog about them, and even participated in several,including the long-gone InTheTrenches sysadmin podcast. The last year or so, my interests have also diversified into the cloud-native space, and my listening choice also reflects this. Here is the list I currently enjoy, but I am adding more every few weeks. When the VMware Communities Roundtable podcast is recorded, I am often there live on the chat. Same goes the vBrownbag EMEA shows. A podcast network consisting of 6 shows mostly around networking. Aaron Delp and Brian Gracely host this award-winning weekly podcast to discuss the technology and organizational changes that are driving the convergence of today’s Data Centers and Cloud Computing. Topics include Cloud Computing | AWS | Azure | GCP | Serverless | DevOps | AppDev | SaaS | IoT. Guests are industry thought-leaders and leaders of companies changing the IT industry. A weekly podcast that covers the technology and people of open source. It’s about the code, the people, and the community. This show features in-depth interviews with the best and brightest software engineers, hackers, leaders, and innovators. Hosts Adam Stacoviak and Jerod Santo face their imposter syndrome so you don’t have to. This Week in Enterprise Tech explores the complex, cutting edge world of enterprise technology. Hosted by Father Robert Ballecer, TWiET features IT professionals explaining the ins and outs of enterprise solutions. Our new vChat is a video webcast/podcast and a joint effort between three vExperts – Simon Seagrave of TechHead.co.uk, Eric Siebert of vSphere-Land.com, and David Davis of VMwareVideos.com. 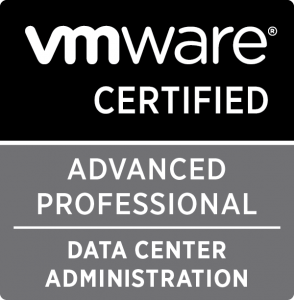 The vChat is sponsored by Train Signal – the leader in VMware video training. Join host Paul Woodward Jr (ExploreVM) as he explores technologies around data centers, cloud computing, automation, networking, and all things nerdy!